Pedal your way around Old Town Scottsdale on a multi-passenger party bike with your own private group of up to 15 people. 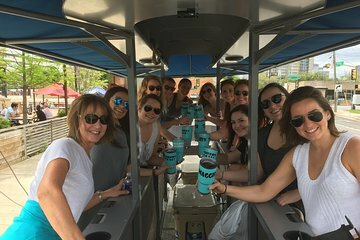 This BYOB party on wheels is perfect for tourists visiting Scottsdale, groups of friends or co-workers, and special events. The party bike comes equipped with a sound system, LED lights, and coolers. Plus, your guide can suggest stops and help customize your itinerary to your preferences.